Product categories of PPS Plastics Sheet, we are specialized manufacturers from China, PPS Plastics Sheet, PPS Plastic Material suppliers/factory, wholesale high-quality products of Black PPS Plastic Sheet R & D and manufacturing, we have the perfect after-sales service and technical support. Look forward to your cooperation! PPS plastics is a kind of advanced plastics with excellent comprehensive performance.PPS plastics has excellent high temperature resistance, corrosion resistance, resistance to radiation, flame retardant, physical and mechanical properties of the equilibrium and excellent dimensional stability and excellent electrical characteristics, are widely used as structural polymer materials, widely used as modified by filling, advanced plastics. 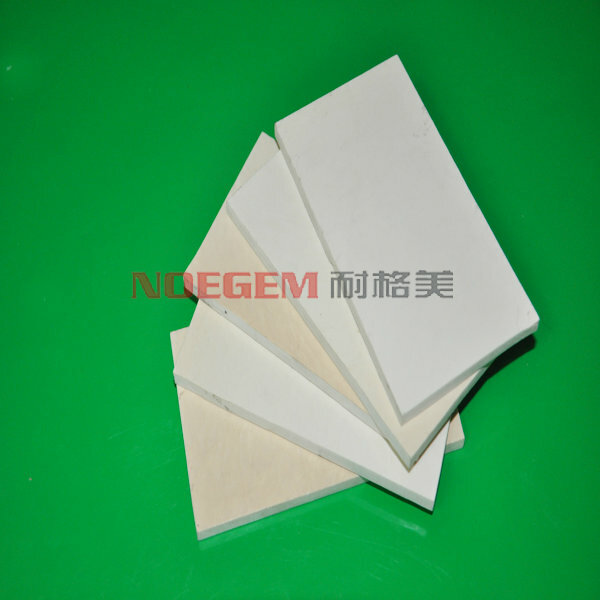 At the same time, PPS plastics can be made into various functional films, coatings and composite materials, which can be successfully applied in electronics, aerospace, automobile transportation and other fields.In recent years, domestic enterprises have actively developed and developed a certain production capacity, which has changed the situation of completely relying on imports.However, PPS plastics technology in China still has problems such as low product varieties, low functional products, and rapid expansion of capacity. These will be the focus of the next development of PPS. PPS plastics has the advantages of high mechanical strength, high temperature resistance, high flame retardant and chemical resistance.PPS plastics has the advantages of hard and brittle, high crystallinity, hard burning, high thermal stability, high mechanical strength and excellent electrical performance. PPS plastics is one of the best heat-resistant varieties in engineering plastics. Thermal deformation temperature is generally greater than 260 degrees and chemical resistance second only to PTFE plastic, which is second only to nylon. In addition, PPS plastics also has the forming shrinkage rate small (about 0.08%), the water absorption rate is low (about 0.02%), good fire resistance, strong vibration fatigue and other advantages. 1, Good electric insulation (especially high frequency insulation), white hard and brittle, fell on the ground have metal sound, light transmittance after organic glass, coloration water resistance, good chemical stability.Good flame retardant, for non - combustible plastics. 2, Strength, good rigidity, but qualitative fragile brittle, easy to produce stress will not endure the benzene. Gasoline and other organic solvents. Long-term use of temperature can reach 260 degrees, 400 degrees of stability in the air or nitrogen.By adding Glass Fiber reinforced materials or other modification, can greatly improve the impact strength, heat resistance and other mechanical properties are improved, the density increases to 1.6-1.9, molding shrinkage rate to 0.15 0.25% smaller is suitable for production of heat-resistant parts. Insulation parts and chemical equipment. Spare parts such as optical instruments. 1. Amorphous material, moisture absorption is small, but appropriate drying to form. 2. The liquidity is between ABS plastics and PC plastics, solidify fast, shrink, easy to break down, choose high injection pressure and injection speed.The temperature is 100 to 150 degrees.The main channel taper should be large and the runner should be short. The disadvantages of PPS plastics are brittleness, poor toughness and low impact strength. After the improvement, excellent comprehensive performance can be obtained, and the products sold in the market are all improved products. Electronic aspects: depending on the machine, the high-voltage element, shell, socket, on the computer terminal, the starting of the motor coil, leaf, brush bracket and the rotor insulation parts, contact switch, relay, electric iron, hair dryer, lamp holder, warm air blower, F film, etc. Automobile industry: applicable to exhaust recirculation valve and pump impeller, and vaporizer, exhaust device, exhaust control valve, light reflector, bearing, sensor parts, etc. Mechanical industry: used as bearings, pumps, valves, pistons, precision gears, and photocopiers, cameras, computer parts, catheters, sprays, oil sprays, instruments and instruments. Chemical industry: used for the production of corrosion resistant parts such as valve pipes, fittings, valves, gaskets and submersible pumps or impeller.